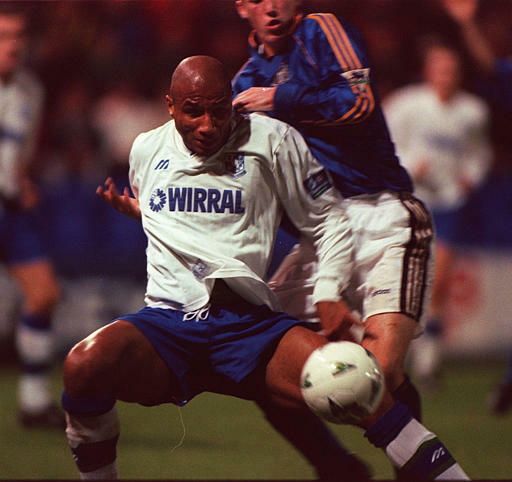 Continuing the series of summer interviews, the Totally Tranmere Podcast last week caught up with former Tranmere Rovers defender and midfielder Georges Santos. 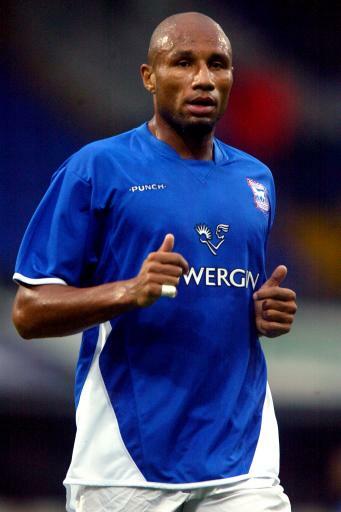 The former Cape Verde international, who was born in France, discussed his time in England in depth, particularly whilst with Tranmere Rovers, and how a move to the Wirral came about in the first place. "I came to Tranmere in '98, so quite a long time a go, I was 27/28 years old. I had a chat with John Aldridge who was manager at the time and he was looking for a centre-back and somebody who could play centre-midfield as well. I came on trial and then I managed to have a good trial and get a contract, so that's the story. "My agent had a conversation with a few clubs in England who were looking for a centre half at the time and that's the reason I came on trial. John didn't scout me at the time, nobody knew my in this country so I was quite happy to come on trial for 10 days. "I managed to do well in my first two games. I remember the game against Chester like it was yesterday. It was hot and warm and it was a good game. I remember very well the fans singing to Aldo "sign him up, sign him up" and after that I got a two year contact. "The first couple of days in training I was welcomed in training, like Alan Mahon and Ned Kelly. Some of the guys took me under their arms. It was like a family club and Tranmere will always be my first club in England for giving me the chance to play in this country. "The way I was playing, the fans loved it. I would give it everything, more than 110%. My size, some of the tackles I put in. I'd give it everything. "I think my position was centre-half, but I liked to play centre-midfield, box to box. I didn't score too many goals with Tranmere at the time but I scored a few. I would say I always enjoyed any position, I'd always give my best. Centre-half was probably my best position but as a centre-midfielder I enjoyed it as well. "There was a good quality of players at Tranmere at the time. Ned Kelly had the experience of some great clubs, Alan Mahon was an international with Ireland, Jason Koumas had a lot of ability. The team we had, there were a lot of good players. "You didn't have to say too much [in the dressing room] at the time. All of us in the team wanted to win at any team. I suppose you've got it in yourself. For me myself, I had that winning mentality in me already. "The Masters has been brilliant. It's nice to go back and play football and see the players I haven't seen for quite a long time. It's good as well, you know, so I appreciate we didn't play very well but I'm sure next year we'll win it back again. "The way we play, being patient, that's what's made us successful. We don't have the legs we used to have, we keep hold of the ball until we find the right moment to score the goals. I'd say we have a good team to win it again. Obviously this year a few players were missing; myself, John Achterberg, Shaun Garnett, so these things happen but I'm sure next year we'll win it again. I hope I'll be involved again next season. "I was disappointed to leave Tranmere because the last season I didn't play that much. I probably started the first ten or eleven games and then for whatever reason I was transfer listed by the club. I didn't know why because at the end of the first season he was quite happy to offer me a contract extension. Nothing happened so I just carried on with my games and between that I got injured but I managed to come back from the injury but I was transfer listed. I was a bit disappointed with that but that's football and I moved on to West Brom with Gary Megson at the time and we stayed up and I moved on to Sheffield United. "I stayed in England for a long time because of the way you play the game, the passion of the football, the stadiums which were always full. If you made a good tackle, it was very good for us because they appreciate that, the fans. In France it's difficult to be appreciated unless you're a centre forward or Zinidine Zidane. That's the reason I stayed in England and the relationship couldn't have been better. "All the 60 games I played for Tranmere were very good. My first Football League game away against Wolves, we lost 2-0 but this was a Championship club and before I came over I didn't know they were a massive club. There were 30,000 fans and a great pitch, it was brilliant. "The best player I played again, when I played as centre-half I'd say Alan Shearer at the time. I had a good game though and we only lost 1-0. I think the manager at the time was Ruud Gullit. I played against some good strikers though; Robbie Keane, Jermaine Defoe, Jason Wilcox, Nathan Ellington, you know they're good strikers. They were good battles." Total Tranmere would like to thank Georges hugely for taking part in the interview and wish him all the best for the future. He continues to be involved in football as a scout and recently brought a couple of players over to Tranmere to have trials this summer. If you would like to listen to the full interview, then you can do so by downloading it from iTunes, simply search for Totally Tranmere Podcast in the iTunes store. 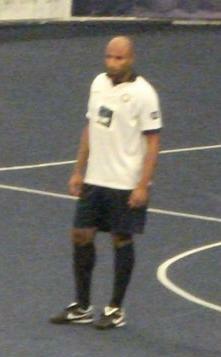 I loved Santos when he was at Tranmere. Great player who always gave his best. Didn't he get the elbow at Sheffield United though for some unnacceptable on the pitch incidient. I believe he was transfer listed with another player who I think was african and then released. I seem to recall a game where 6 players were sent of, 3 from each team I think....Santos may have landed an elbow on someone's bonce!